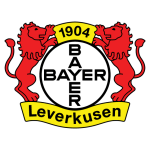 FSV Mainz 05 vs Bayer Leverkusen predictions for the German Bundesliga. Leverkusen look to continue their climb up the table when they travel to the Opel Arena to face Mainz on Friday. Read on for our free betting tips and match preview. Mainz’s start to 2019 was going swimmingly until last weekend. Sunday saw the 05ers lose for the first time this year – 3-0 away to a struggling Augsburg side – after consecutive wins to Stuttgart and Nurnberg had given them a comfortable cushion above the relegation zone. 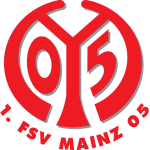 Mainz still boast the seventh-best defence in the division at just over the halfway mark with 28 goals conceded – not bad going – but, more importantly, coach Sandro Schwarz seems to have addressed the “goal problem” that plagued them early on this season – Mainz have scored at least one goal in all but one of their last 12 league outings. Like Mainz, Leverkusen blew hot and cold in 2018, but new boss Peter Bosz, who was brought in to replace Heiko Herrlich over the winter break, has started to make headlines. His side have beaten both Wolfsburg and Bayern Munich over their last two matches and another win here against Mainz could see them back in the top-four chase if other results go their way. Leverkusen finally look to be back at their best and their mid-week failure in the DFB Pokal does give them the opportunity to focus on the Bundesliga and the UEFA Europa League as the competitions draw to a close. Leverkusen and Mainz’s recent success in front of goal are the angle we’re looking at for this game, and for that reason, we’re thinking that ‘over 2.5 goals’ is the way to go. Leverkusen have the joint worst defensive record in the top half – 31 goals conceded, an average of just over 1.5 goals per game – and Mainz haven’t been doing much better – Schwarz’s men have failed to keep a clean sheet in 12 of their last 13 league outings. A recipe for success with the goal-scoring form these sides are in. Leverkusen’s recent numbers – scoring multiple in 4 of their last 5 – should be particularly challenging for Mainz to keep at bay – the 05ers have conceded multiple in 5 of their last 6. Only Borussia Dortmund and RB Leipzig have scored more in the league than Bayer Leverkusen since returning from the winter break too, so you’d have to be really pessimistic to not see Leverkusen getting more than one. Lone striker Kevin Volland would be the man to keep an eye on in that regard. And even though Leverkusen have lost 40% of their Bundesliga matches against Mainz (10/25) – of current top-flight sides, only against Leipzig (60%) and Bayern (59%) have they lost a higher percentage – it’s hard to look past them for three points after their performance against the latter last weekend. Our prediction: 3-1 Leverkusen. Mainz dropped their first points of 2019, losing 3-0 against Augsburg last time out, ending a four-game unbeaten run (W2 D2). Mainz have failed to score in just one of their last 12 Bundesliga matches (3-0 loss to Augsburg on MD20), scoring 18 goals in the process (1.5 per game). Leverkusen beat Bayern 3-1 last time out, lifting them to seventh in the table – their highest positioning of the season. Leverkusen have won four of their last five Bundesliga games (L1). Victory in this game would see Leverkusen win three consecutive Bundesliga matches for the first time since March/April 2016 (run of seven). Leverkusen have had a joint league-high 56 shots in the second half of this Bundesliga season (level with Bayern), hitting the target more often than any other side (29). Leverkusen’s Julian Baumgartlinger played for Mainz between 2011 and 2016. He scored two goals in 124 Bundesliga outings for FSV and captained them in 2015/16.